Points for creativity, anyway: Frederick, Maryland resident Matthew Tyler Rosenberg was detained the other night after he and a friend were suspiciously looking into the windows of parked cars, possibly looking for something to steal. The police detained the two men. 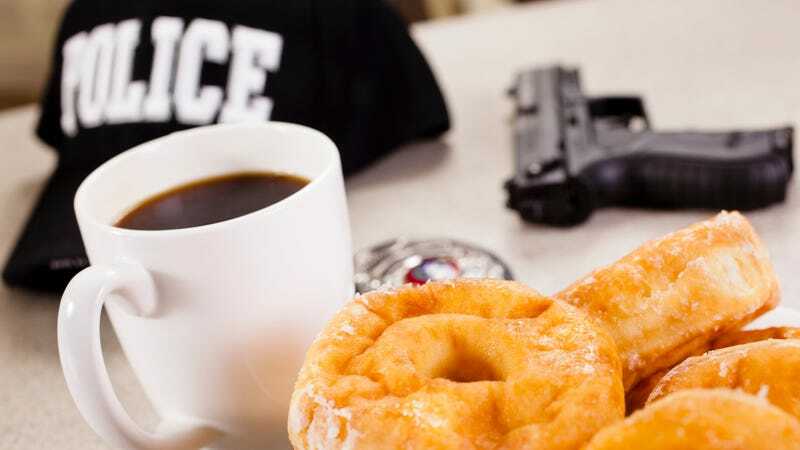 When a search revealed an air pistol and a bag of weed, Rosenberg, 25, “told officers he worked at Krispy Kreme and promised to give them doughnuts if they allowed him to ‘just go home,’” according to The Frederick News Post. Coincidentally, you can get an extra dozen of Krispy Kreme donuts for a dollar today (after you purchase a dozen). These treats would probably make for happy handouts for your officemates or mailperson or local cop on the beat—just not if you happen to be in handcuffs at the time. Why did it take so long to mass produce a Simpsons doughnut and why is it only in Australia?